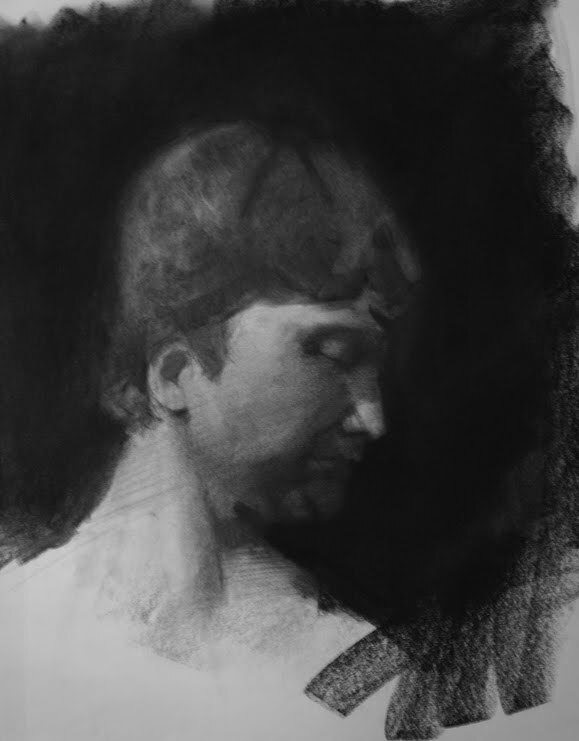 This is a quick head study I did today, focusing on have the face in shadow. The light is striking the side of the head from a source just slightly behind the model. The nose protrudes out into the path of the light to reflect some of it back to the viewer. Giving the face more interest than if it was all in shadow. The study was done in charcoal on paper.